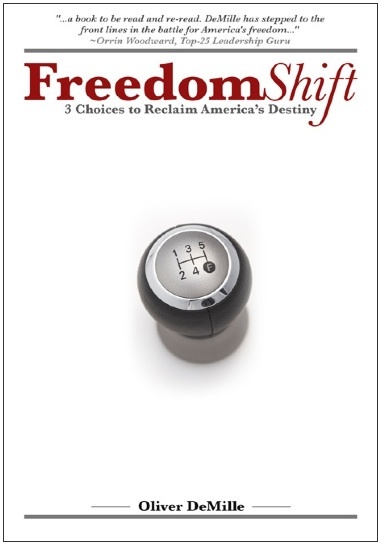 FreedomShift: Will you play your part? At the recent LIFE National Leadership Convention, Orrin Woodward invited a special guest, Oliver DeMille, to grace the stage with his wisdom in sharing from the category of Freedom. DeMille is the founder and former president of George Wythe University, he is a founding partner of The Center for Social Leadership, and the author of A Thomas Jefferson Education: Teaching a Generation of Leaders for the 21st Century, The Coming Aristocracy and FreedomShift. He earned his B.A. in Biblical Studies, M.A. in Christian Political Science and Ph.D. in Religious Education. He and his wife have 8 children and he spends most of his time writing. I believe that Orrin Woodward did it right back in the 90’s when he focused on the strength of loyalty and commitment in communities through information. And with the launch of the-LIFE-business approaching in just two days, I foresee a FreedomShift happening on our watch while entrepreneurs go out and become veracious readers and start to think independently and begin to connect individuals who want to make a difference in communities across the world. Will you play your part? This is exactly what I was looking for. Thanks for wirting!